In a note on the townland of Dergroagh, James O'Kane says that it is sometimes called Cúl Gáigín. He also records the name Sruthán an Chut Chaoil in Dergroagh, which may relate to the same cleft feature from which Gáigín is named (JOK). 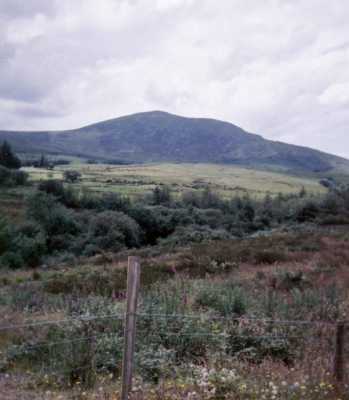 Gaugin Mountain is the 378th highest place in Ireland.